The Winter Olympics just came to a close and the country of Norway outperformed the rest of the world in the medal count (at least Germany came in second). This seems baffling; after all, Norway has a whooping 5.2 million residents which is not even the boroughs of Brooklyn and Queens combined. So how does this tiny country outperform places like Germany with 82 million or the US with 330 million inhabitants? At first glance, they have a great set up for winter sports and a good amount of money. Fair, but so do the US, Germany, Switzerland, Austria and Canada. 1. Obvisouly they take winter sports very seriously and take great pride in it. It is also something everyone does, regardless of age. 2. There is a tremendous infrastructure for winter sports (plenty of speed skating rings, ski jumps, etc. all over the country). 3. Kids are allowed to play (a lot that is), without crowning a 9-year-old national champion. This way the kids enjoy the sports more and stick with it. 4. The next point seems like a bit of lore but apparently they do not tolerate jerks or prima donnas on the team. 5. 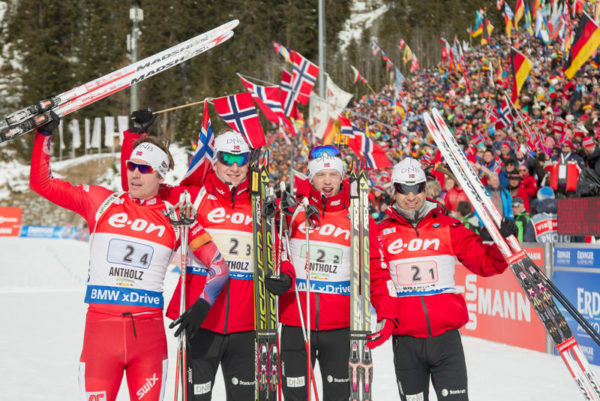 And lastly, the Norwegians optimize everything such as scouting, training sleep diet, execution of training, etc. Great! What does that have to do with my physique? 1. You should take pride in your body and in the process of training and bettering it. 2. If you live in the Western word, take advantage of the great infrastructure we have in terms of gyms, food, and medical knowledge. Also having the leisure time to be able to train is worth a lot. 3. Do not take every workout so seriously; just go in and do your best and the rest will come. 4. Do not be a jerk. Enough said. 5. Optimize everything. Training should not be for the sake of lifting weight, but to create tension in the target muscle. Do not blindly follow someone else’s workout protocol but make it work for you. Keep challenging. Be very diligent with your nutrition. I am aware this sounds like a no brainer but the two biggest downfalls of people in the gym are: A. lifting weights without really working your muscles and B. having a lousy diet. If you can master the above points, the Olymp is yours! Previous post: In Defense of the Smith Machine! Next post: NYC PERSONAL TRAINER MAIK WIEDENBACH EXPLAINS WHY YOU DO NOT NEED TO LIFT HEAVY!